According to the U.S. Consumer Product Safety Commission, from 2009 to 2011, fireplaces and chimneys were the source of 24,300 residential fires (on average), resulting in about $30.8 million in property damages. Additionally, blocked chimneys contribute to unintentional, non-fire-related carbon monoxide (CO) poisoning annually. Per the Centers for Disease Control and Prevention (CDC), every year, CO poisoning causes almost 500 deaths and 15,000 emergency department visits in the U.S.
Each year, the Chimney Safety Institute of America (CSIA) holds the National Chimney Safety Week. In 2014, this week is September 28 through October 4. 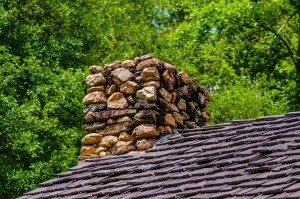 During this week, chimney professionals, like T. J.’s Chimney Service in Greenfield, Ind., encourage you to schedule your annual chimney inspection and cleaning if you have a gas, oil, wood or coal-burning appliance, like a masonry, factory-built or insert fireplace, wood or pellet stove, central heater and/or a furnace. 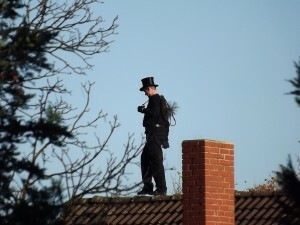 An annual chimney inspection and cleaning can reduce the risk of chimney fires and CO poisoning in your home. 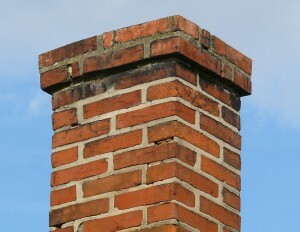 Look for damages to your chimney, like a cracked flue lining, faulty flashing, and deteriorating bricks or mortar. Identify possible venting problems, like broken connector pipes. 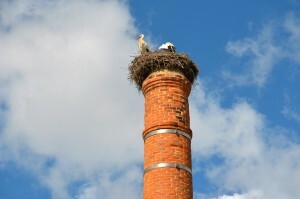 Find and remove any debris, like bird or animal nests, blocking your chimney or vents. Perform any needed maintenance or repairs. Make recommendations on how to use your fireplace and other heating appliances more efficiently. Remember, chimney fires and CO poisoning are preventable with yearly chimney inspections. And CSIA-certified professionals, like those at T. J.’s Chimney Service, are trained and knowledgeable in fire codes, construction standards and the maintenance of chimneys and venting systems in your home, as well as being able to identify any fire and CO hazards. For peace of mind, contact T. J’s Chimney Service at 317-455-5310 to schedule your annual chimney inspection and cleaning today before the heating season begins!